March 16th, 2015 – Castries, St. Lucia –– Since he released his first recorded single ‘Love Symphony’ in 2013 featuring Pearletta ‘Harmony’ Avril, fans have been waiting with baited breath for a new song from much admired Saint Lucian Gospel Rapper Arnold Jules, sobriquet A J. He has been working diligently to perfect his latest single ‘Don’t Blame Me’ with immediate release accompanied by a music video of the same title. 24 year old A J is the three peat winner of the 20’s category of Youth Fest 2011, 2012 and 2013 and overall winner of Youth Fest 2013. Rapping his original lyrics since the age of sixteen it was the performance of his song titled ‘Gospel Insanity’ in 2012 which gave him entrance into the hearts of many in his hometown and abroad. He has performed at many and varied national events and has been invited and performed in Trinidad & Tobago on two occasions where he was well received. For the brand new track ‘Don’t Blame Me’ he has teamed up for the second time with Safros Joseph of Life Worship Studio producer of the track. A J’s first music video recording of the same track ‘Don’t Blame Me’ has been shot and produced by Rio Mayne Visuals. As he continues on his journey he believes that God has given him this gift which he continues to use to influence the youth in a positive manner. Twenty-Four year old Gospel rapper/songwriter Arnold Jules a.k.a. 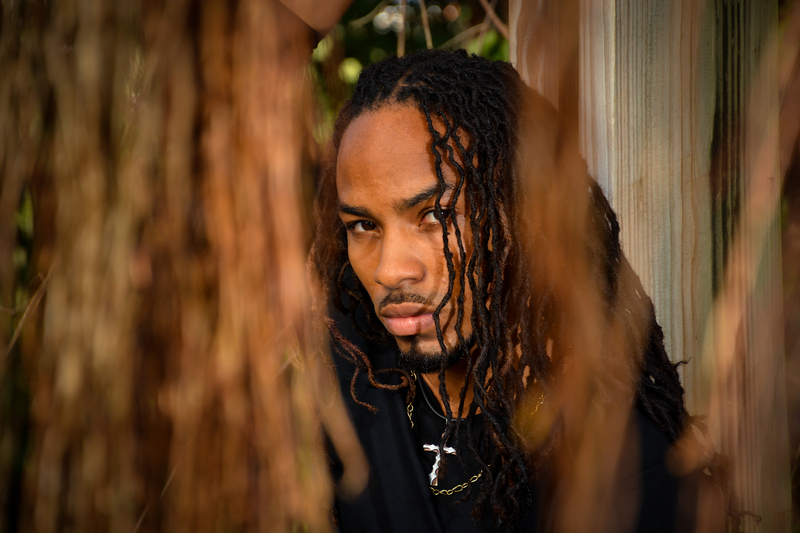 A J raised in Marchand, Castries started rapping at the age of ten. According to him, he wrote his first worldly song at the age of sixteen and continued along that path. At age eighteen his life drastically changed, he got saved, and from then on his lyrics changed and he no more wrote and sang for the world but for Jesus Christ his Saviour. Since then A J is the most sort after Gospel Singer in St. Lucia and has been ministering at churches island wide for concerts and conventions. He has a special mission and connects to the youth in the society on many levels as he pours out the message of the Gospel in Rap. Some of his most noted performances have been at Skinner Park in San Fernando, Trinidad 2012, The Resistance Youth Concert 2012, The NCF Telethon 2012, The Lucian Men March Rally 2012, The Catholic Youth Convention at Beausejour Grounds in 2012 and The National Prophetic Youth Convention 2012 as well as the upcoming one in August 2013. In 2013 he opened the programme for the launch of Artsreach at the National Cultural Center, and soon after he ministered at Tea Time Jazz 2013 at La Place Carenage. Most recently in July 2013, A.J. took part in the concert ‘Praise Explosion’ alongside headliner St. Matthew of Jamaica. A J is the three time winner of the ’20’s’ category of Youth Fest 2011, 2012 and 2013. In 2013 AJ became the Youth Fest Overall Winner. He is known for his ever popular song ‘Gospel Insanity’. In 2013, he launched his first recorded single track – ‘Love Symphony’. This track featured Pearletta Avril a.k.a. ‘Harmony’ a young gospel R&B singer and was written by Arnold Jules and Safros Joseph and produced by Safros of Life Worship Studio, mixed and mastered by Rawl Alcide with guitars by Nimrod Prospere. 2014 saw AJ working with the youth in his church and traveling locally spreading the Gospel through song. December 2014 he was the featured artiste on the annual One Voice Concert where he first sang ‘Don’t Blame Me’ his newly released single recording produced by Safros of Life Worship Studio written by Arnold Jules. Simultaneously he has released a video of the same title produced by Rio Mayne Visuals. This young man continues to touch many hearts wherever he goes with his testimony of how Christ saved him and it is his desire, to do so worldwide. Look out for new releases a he continues to write and produce new material. To see some performances by A J please search on YouTube – A J Don’t Blame Me.